These creatures have two sets of pigments, chromatophores and iridophores, which help them evade predators by concealment. The iridophores, specifically, are thin cells on their body that reflect light of different wavelengths thus exhibiting iridescence. With this, they naturally mimic the colors of their surroundings. 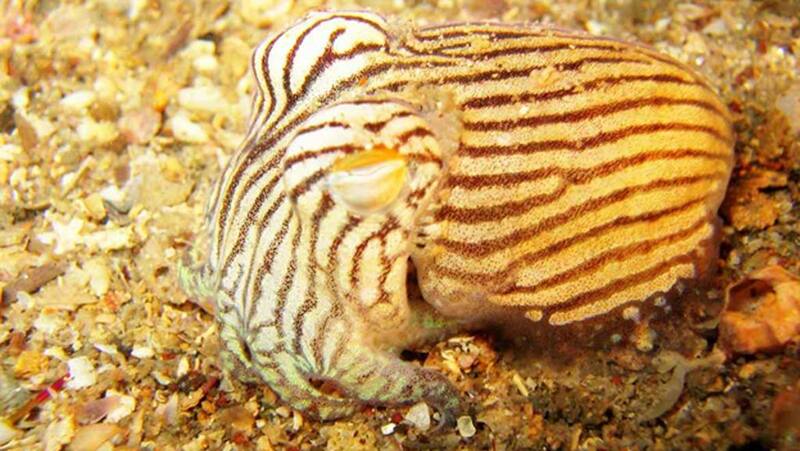 Inspired by coleoid cephalopods, engineers at the University of California, Irving, invented a material that can modulate its temperature according to the environment, and become invisible to infrared night vision cameras. The prototype reflects heat by changing the surface of its structure (smooth, shiny, wrinkled, dry) when triggered, just like the sea animals do. According to the researchers, the development of such a material can aid in camouflage for military troops. It can also be applied to insulation for space crafts, emergency blankets, heating and cooling systems and storage containers. The paper by Xu et al. was published in the latest issue of Science. In the past too, model membranes have been developed that, inspired by the natural stretchability and camouflaging ability of cephalopods’ skin, produced elastic electroluminescent material. The artificial ‘skin’ then went on to be applied to the field of soft robotics. The device, inspired by squid skin, was built using capacitors consisting of bottom and top proton electrodes, a dielectric elastomer and a reflective infrared coating. The materials used for this were aluminum, plastic and surprisingly, sticky tape! The system exposed certain areas that were analogous to the chromatophores and iridocytes of cephalopods. On actuation, these active regions expanded, as necessary, to regulate the absorption of infrared light. It was also noticed that the geometry changed in relation to the intensity of reflected light. The system translated closely to the biological mechanism of cephalopods from the visible to the infrared on the spectrum. The synthesized adaptive camouflage technology was also in accordance. The researchers state that the system can be integrated into several applications as it has a wide range of possibilities from camouflage to insulation to wearables. Although patents for this product are still pending, large scale manufacturing and scaling up of the invisible skin into commercial material is being considered.